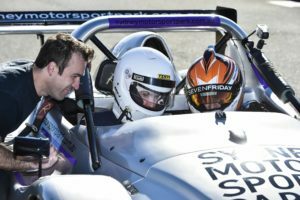 If you’ve ever dreamed of getting behind the wheel of a thoroughbred racing car, this is your chance. We guarantee a drive in a Radical will be one of the most exhilarating and memorable experiences of your life. We cater for everyone from complete novices to seasoned racers. This is the real deal and the closest thing to driving a Formula 1 racing car in Australia. 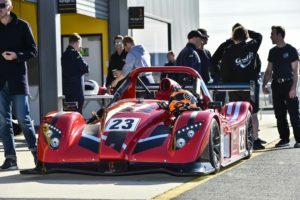 This SUPERSPRINT package includes a 20 minute 6 lap self-drive per guest with coaching from a professional race car driver followed by a 3 lap ride in the hands of a professional race car driver on the race circuit at Sydney Motorsport Park, Eastern Creek. The SR3 RS is powered by a Suzuki Hayabusa sourced 220bhp 1340cc Powertec four-cylinder engine which revs to a blistering 10,500rpm. With numbers like 0-100kph in 3 seconds and 2.5g’s through corners and under brakes, it’s as fast as a V8 Supercar around Eastern Creek.